How Does an Appraiser Determine the Value of a Home? 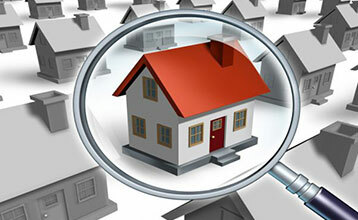 An appraiser will use a variety of methods to determine the fair market value of a property. The definition of market value is the highest price reasonably expected at any given time when an interest in land is sold by a willing seller to a willing buyer after adequate time and exposure to the market. Cost Approach: This estimates the cost of building a new home identical to yours at current prices, subtracting accumulated depreciation and adding the estimated land value. Income Approach: This approach is for income-producing property and is based on the assumption that the current value is the income potential when the property is developed to its highest and best use. The net operating income from the property is capitalized into value by an appropriate method and rate. Direct Comparison Approach: This is based on the idea that an informed purchaser would pay the same price for acquiring another existing and equivalent property. The estimated value is based on the selling price and listings of comparable properties in the area. The appraiser uses the most appropriate approach and supports the evaluation with the most reliable, factual and relevant market data. At times it’s advantageous for a buyer or a seller to get an independent appraisal to determine the value of the property. This will ensure you’re not paying too much or, if you are a seller, that the listing price is in line with the market. previous post: Debt Fatigue: How Long is Too Long to Be in Debt?